Bruce Kirby grew up sailing on the Ottawa River and now at age 88, has been invested into the Order of Canada for his contributions to the sport. When Kirby received the call in December that he would become a Member of the Order, he said he had to hang up and call Rideau Hall to make sure someone wasn't pranking him. "I was stunned, quite surprised but very happy," he said. The Order of Canada is one of the highest civilian honours and recognizes outstanding achievement, dedication and service to the country. Kirby was invested on Thursday alongside a group that included Olympic cyclist Curtis Harnett and Juno-award winning musician Oliver Gannon. Despite representing Canada three times at the Olympics, Kirby's biggest contribution to the sport of sailing is the design of the popular Laser dinghy. 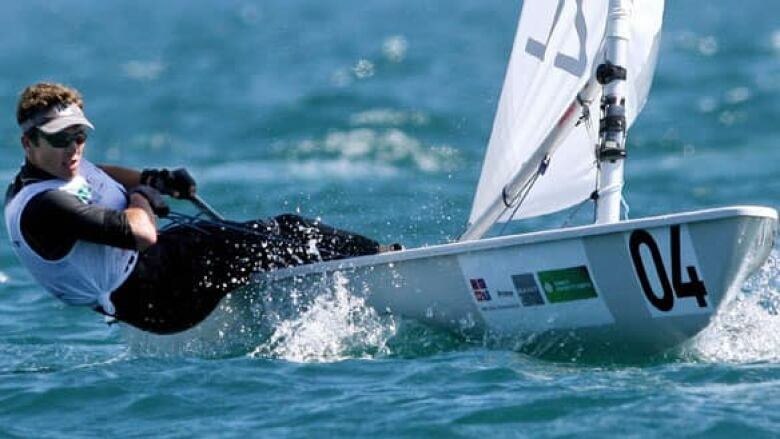 The Laser is a small craft typically operated by one person and has been raced at the Olympics since 1996. Kirby designed the boat in 1969 after his friend and boatmaker Ian Bruce asked him to design a sailboat small enough to be carried on top of a car. The two sat on the design until the next year, when Kirby saw an ad in a sailing magazine for a regatta specifically for inexpensive boats — under $1,000 in 1970 — in Lake Geneva, Wis.
"I phoned Ian and said, 'If you can get a boat ready for this competition it would be a great way to introduce it,'" Kirby said. The boat won its class at the regatta and its popularity took off. "Ian was taking orders as fast as he could," Kirby said. But even after its debut at the Lake Geneva regatta, the two had not been able to settle on a name. They would not decide on one until they were about to officially bring it to market. The idea came when Kirby and Bruce were having dinner at the Royal St. Lawrence Yacht club in Montreal. A McGill science student the two were familiar with approached them with the name Laser, suggesting it would resonate with the younger crowd. "Ian and I sort of looked at each other and nodded our heads in astonishment," he said. Kirby has designed over other 50 boats, but none have come close to the popularity of the Laser. "I still get letters from people all over the world," Kirby said. The night before he was invested into the Order, Kirby returned to the Britannia Yacht Club in Ottawa, where he first started sailing. The club now boasts about 50 of Kirby's Laser dinghies, which Kirby said might be the biggest fleet in the country.